It&apos;s hard to believe but summer may finally be upon us after all those months of endless rain. This weekend the weather men are promising temperatures of 25 and even 27°C. The perfect weather for a BBQ. Time to invite your friends and family for a dinner on your terrace or in your garden. Besides the meat, salads, baguette with herb butter and delicious tabouleh, you should also think about some nice table decorations. You will definitely find matching glasses, placemats and napkins in our online store but here are some original tips for a successful garden party! A must-have on hot summer days is the XL infusion jar. 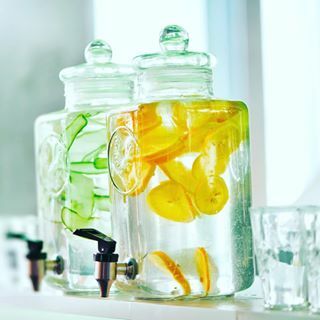 This large glass jar has a tap, so your guests can treat themselves to a thirst-quenching glass of water when necessary. Add a few slices of cucumber, lime and lemon to the water. Sprinkle in some mint and you will obtain the most delicious infusion. Why not try an infusion of raspberries, green apple and rosemary? Sounds perfect for a party, doesn&apos;t it? The XL infusion jar comes with various options, price from 79 euros. Enjoy your weekend and share your photos on Instagram with #pietmoodshop! Immerse yourself in the wonderful world of the Italian designer Paola Navone. Her collection Fish & Fish is inspired by the glassware of the Thirties, during the Great Depression in the US. The theme of the collection is the herring. 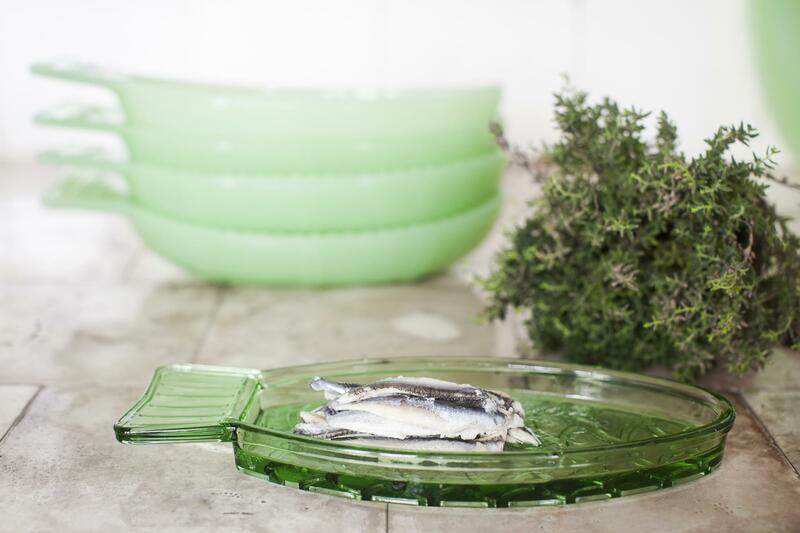 These dishes are just perfect for serving herring hors d&apos;oeuvres. Prepare a mousse of smoked herring and cream and serve it in between two slices of beetroot. The Fish & fish carafe and glasses will look perfect on your table with their bottle-green colour. Fish & fish collection price from 6.5 euros. 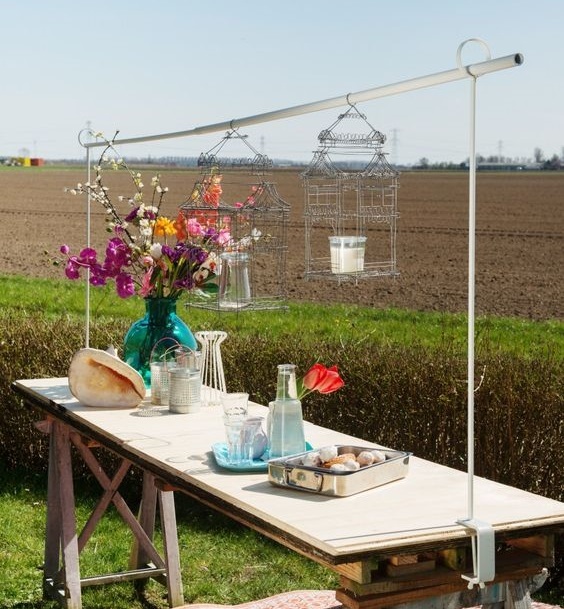 Our new favourite for outdoors is the Toon table clamp. You can attach this structure to the garden table and decorate it as you see fit. Originally Toon was used to suspend lighting above the table but the designers soon realised that their creative customers had more wild ideas about how to use Toon. 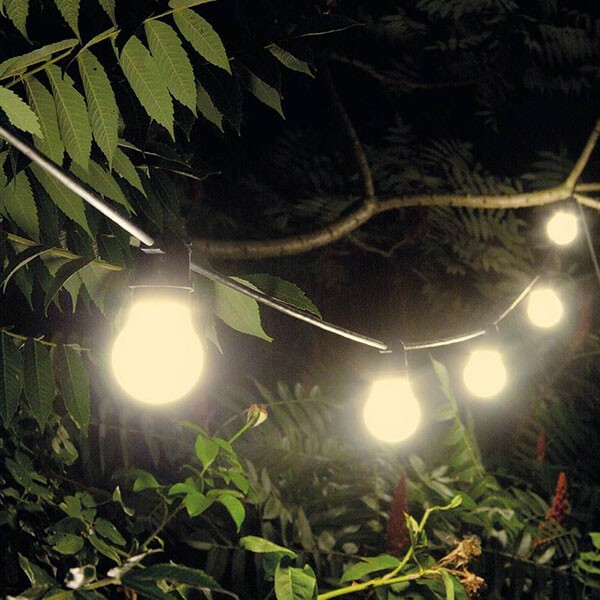 The party can continue long after the sun has set thanks to the Bella Vista string of lights. This string of lights comes in black, white and baby pink and is perfect to string around the Toon table clamp. Bella Vista is water-proof and features 10 LED lights on a 14-metre string. If you have no power outlets in your garden, you can also just use candlelight. Use A bag of light by Raumgestalt for some a nice glowing light in the dark. This bag contains four paper, well, Tyvek tealight holders really. Tyvek® looks like paper but cannot tear and is weather-proof. You can attach a bag to your Toon and arrange the other bags of light across the table. Use your imagination and decorate the Toon table clamp with tiny jars of flowers, vases and ivy. You can also suspend glass bowls from it and fill them with flowers or a tea light. You can use the white flags in the Party Set to decorate your garden and table. 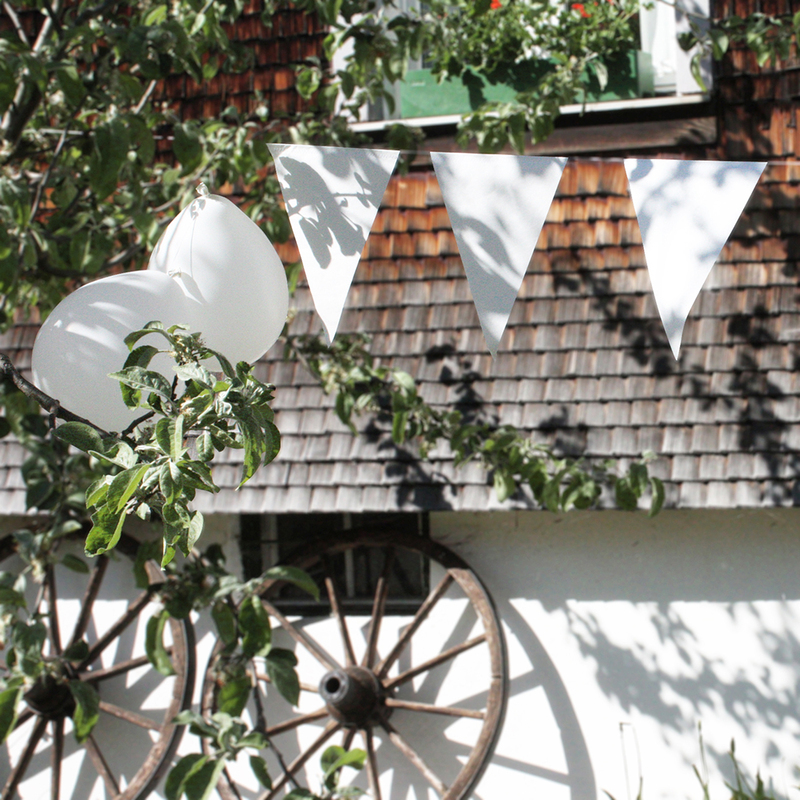 This Party Set also contains ten white balloons and two Tyvek® paper tea light holders! Toon is suited for tables of 1.50 m to 2.50 m. Is your table longer? Find a branch of the proper length or go to the DIY store for a long tube. You can place this in the rings for a custom table clamp!